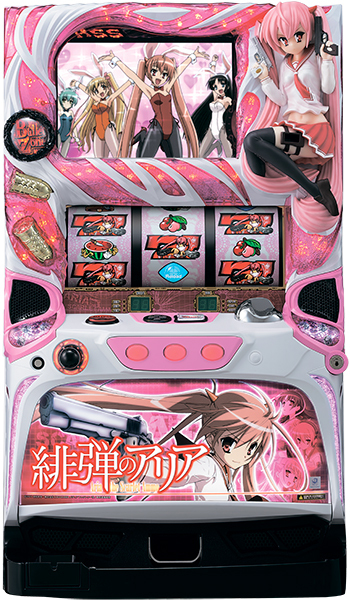 Today, we will be introducing a pachislot machine of “Aria the Scarlet Ammo”!! Its original work is a popular light novel, which had its spin-off animation in autumn of 2015. Gun action battles against enemies and renditions by beautiful female characters are must see!! A figurine that was popular for the pachinko machine is also loaded onto this machine as well, and it is used as a touch sensor. Another must-see point for this machine!! It is expected to make its debut on February 8th! !Don’t miss it! !